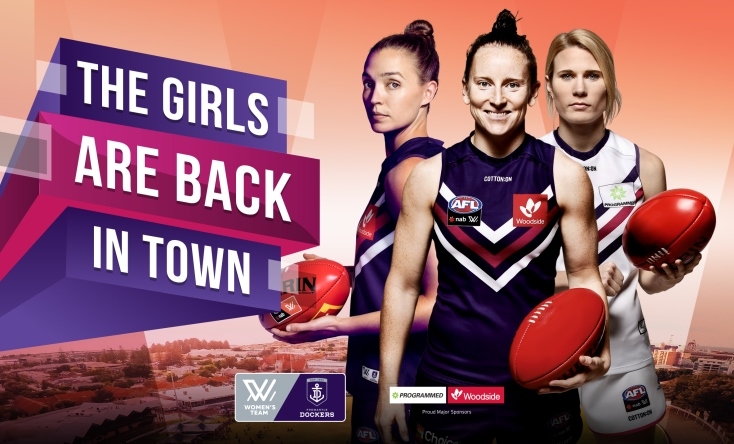 After an entertaining four-point win over Melbourne in their season opener, the Fremantle Dockers are bringing AFLW footy back to Fremantle Oval this weekend. Fremantle will be taking on the Brisbane Lions this Sunday. Bounce down is at 3:05pm and entry is free. The Lions are second on the AFLW ladder following their two-point win over Greater Western Sydney in the opening round. Fremantle Mayor Brad Pettitt said it was exciting to welcome women’s footy back to Freo Oval. “After a great win on the road in their first game it’ll be fantastic to welcome the Freo Dockers back to their spiritual home at Fremantle Oval this Sunday,” Mayor Pettitt said. “Fremantle have developed a strong following in their first two seasons in the AFLW, so I’m expecting another big crowd for the first home game of the new season. Fremantle kicked the last three goals of the game to defeat Melbourne at Casey Fields in Cranbourne in the opening round last weekend. The 9.5 (59) to 8.7 (55) result was the second-highest aggregate score in AFLW history. Freo will play four home games at Fremantle Oval this season, with matches against Collingwood on 16 February, the Western Bulldogs on 23 March and North Melbourne on 16 March. Entry is free to all games. To accommodate the AFLW match this Sunday, the City of Fremantle Library at Fremantle Oval will be opening and closing one hour earlier than normal. The library will be open from 10am – 2pm.